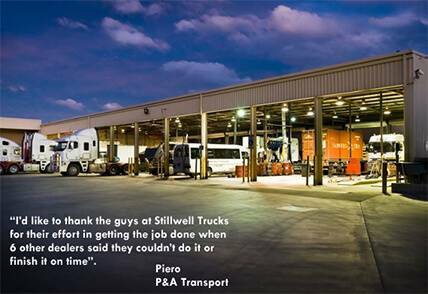 Stillwell Trucks are your Fuso, Mercedes-Benz, Freightliner and Sterling approved repairer. In addition to our specialist knowledge we also service and repair ALL makes and models of trucks, trailers and buses. - Experienced and committed. Our staff can assist with all makes and models. - We're open late to make sure you get back on the road. No penalty rates. - We can be there when you need help the most. 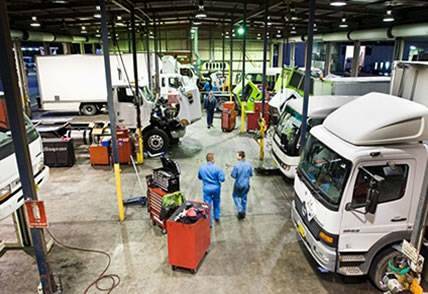 Our factory trained, experienced technicians are committed to servicing everything from the modern computerised truck to the old faithful basic truck and trailer. Talk to us about our competitive pricing in fleet maintenance. "Please pass on our appreciation to the late shift crew in the workshop Thursday evening 2/10/14, for assisting with a bomb of a truck near Pickles Milperra....Pickles said it was right to drive, NOT. Barry was hoping to drive it back to Albury (6-7 hrs). Through Hartwigs Albury, Barry was able to contact Stillwell to have the truck checked at the workshop. One of the guys at the end of the shift was also able to take Barry to temporary accommodation. Terrific Service......Thank you." Barry and Catherine Walker, Albury Demolitions Pty Ltd". "I’d like to thank the guys at Stillwell Trucks for their effort in getting the job done when 6 other dealers said they couldn’t do it or finish it on time. Service Manager came out to my yard and picked up parts to complete the clutch. That person deserves a medal. Stillwell have always given their customers that special touch that nobody does in this day and age. I needed it that evening to make my client happy and Stillwell delivered as promised, clutch done in a day." When you need it most, we can be there. To get you back on the road we offer 24 hour emergency breakdown service, 7 days a week. 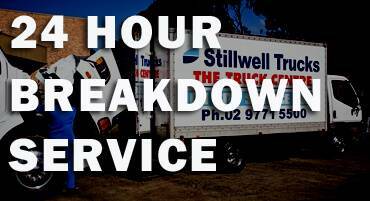 For assistance with breakdowns simply ring our breakdown hotline on 0408 272 621. 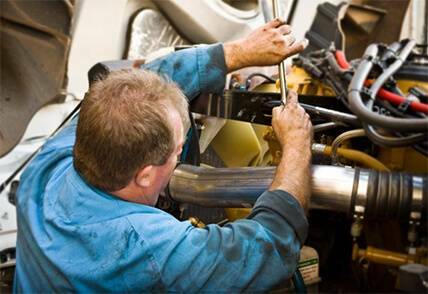 We know what it means to have your truck off the road so we work hard to get your truck serviced and back to you as soon as we can. 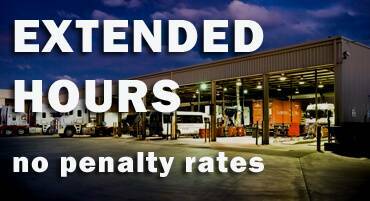 We are committed to providing great customer service, so we offer extended trading hours and an evening shift with no penalty rates. 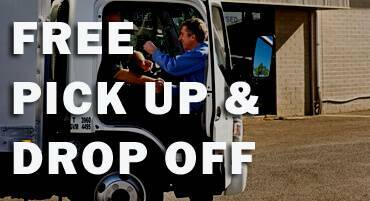 If you are within a 5km radius of our dealership we can arrange to return you to your business after dropping off your truck, and we’ll pick you up when it’s ready. Arrange this with our customer service representative when you book in your service.